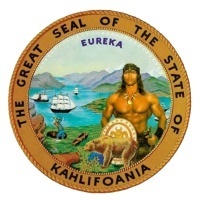 California has officially filed the opening brief in its promised appeal of a 2007 decision that struck down a law prohibiting the sale of videogames to minors. On his official website, California Senator and noted videogame critic Leland Yee applauded the action, saying, "I am hopeful that the ninth Circuit will overturn the lower courts decision and help empower parents with the ultimate decision over whether or not their children play in a world of violence and murder." "California's violent videogame law properly seeks to protect children from the harmful effects of interactive, ultra violent videogames. As stated in the appeal, our efforts to assist parents in the fight to keep these harmful videogames out of the hands of children should survive Constitutional challenge under all levels of judicial review," he said. Originally passed in 2005, a preliminary injunction prevented it from actually going into effect prior to being struck down as unconstitutional in 2007. In his ruling that the law contravened the First Amendment, Judge Roland Whyte also questioned the link between videogames and real-world violent behavior, writing, "The evidence does not establish that videogames, because of their interactive nature or otherwise, are any more harmful than violent television, movies, internet sites or other speech-related activities." In its opening, the state's brief to the appeals court reads, "It defies logic to suggest that our founding fathers intended to adopt a First Amendment that would guarantee children the right to purchase a video game wherein the player is rewarded for interactively causing the character to take out a shovel and bash the head of an image of a human being, appearing to beg for her life, until the head severs from the body and blood gushes from the neck. Or guarantee children the right to purchase a video game where the player can cause the character to wound an image of a human being with a rifle by shooting out a kneecap, pour gasoline on the wounded character, and then set the character on fire while the character appears to be alive and suffering." No indication is given as to what games the brief was referring to.